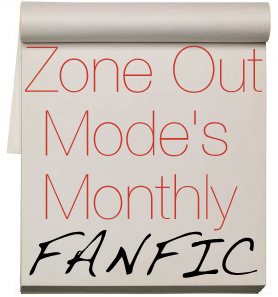 So before we mentioned an upcoming new feature coming to Zone Out Mode involving fanfiction, which is basically when someone writes a story which involves real celebrities, for example One Direction or Ed Sheeran, or it can also be about characters from a popular book or TV show/movie, for example Bloodlines (the book by Richelle Mead), The Vampire Diaries etc. Anyway, we are super super excited to announce to you guys that we will be holding a feature here where you can enter your own fanfic or nominate a fanfic someone else has written, and each month we will pick one and feature it here. So basically we'll talk to the author of the fanfic and do a short interview with them if they agree (this will happen online), and also post a link of their fanfic and include an excerpt of it as well. You can enter/nominate now using the form below. And if you do write fanfiction I automatically love you! I'm writing one at the moment in between revising and doing school work, though to be honest I usually write while I'm also doing my homework. I'm looking forward to reading the fanfics that come in!